The ESR STAT™ PLUS analyzer can provide up to 3 sed rates in just 5 minutes, while using a 25 microliter sample of EDTA blood. The EZ-SAFE™ analysis tubes are mylar-wrapped and self-sealing, for maximum safety and convenience. 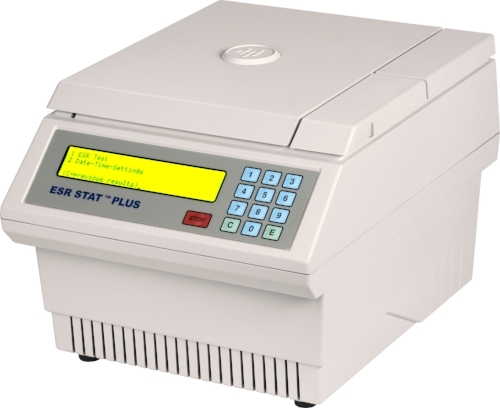 The ESR STAT PLUS analyzer is a rapid result analyzer that is excellent for hospital laboratories and clinics.